We live at a very special time. The confluence of many things has brought forth the clear need to be able to articulate the Social Teaching of the Catholic Church in a way that is accessible and applicable. This is not to be an effort where high-minded theories are to be bandied about. Rather, this is a time of opportunity wherein we can apply the Social Doctrine to the concrete so as to bring about a New Kingdom, a Revolution. Let me begin to do this by recommending everyone get a copy of the Compendium of the Social Doctrine of the Church. It’s not that expensive. Go get it. It came out in 2005, the result of years of work that had been explicitly called forth by Pope John Paul II. The Compendium is a sure guide to what the Church teaches about social justice. Once you’ve got the Compendium read it. Carefully. Now let me suggest the following tool for understanding the Social Teaching of the Catholic Church. You may not believe how many advocates of social justice are only too ready to chuck Jesus out the window in order to get you to buy their plan. One such program of which I’m familiar actually includes materials that deny the divinity of Christ, several times, and deny the salvific work of the cross. As Pope Paul VI and Pope Benedict XVI have said, the Social Doctrine is evangelization. If it is not rooted in the truth, then it can be manipulated to mean whatever one wants it to mean. The truth is quite simply, Jesus Christ who, as Gaudium et spes states, reveals man to himself. The Social Doctrine and the work of charity must stem from an intimate knowledge of Jesus Christ so that they might serve the whole person and point back to Christ. As I say in some of my posts, there is a spirit of opposition in a good deal of the social work that happens today. The corruption of workers’ unions is one of the great tragedies of our day. Imagine what great work they could do on top of the many achievements they’ve made if only they were not caught up in the oppositionist paradigms that make integral human development impossible. True social justice requires that we drop these paradigms of opposition: management vs. labor; bourgeois vs. proletariat; state vs. individual. As Cardinal George wrote in The Difference God Makes we have a tradition in Catholicism of communion. 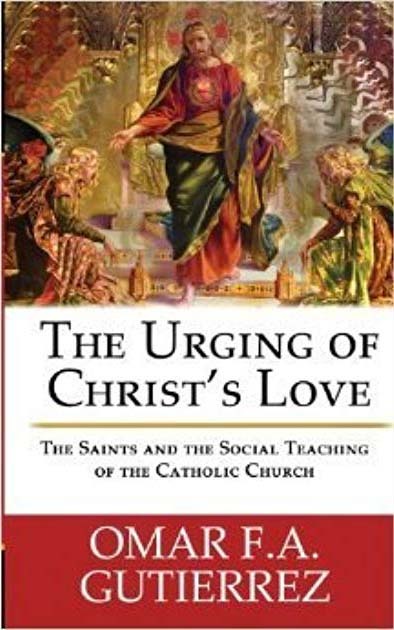 He calls it the “ontology of communio.” We own the great Catholic “both/and.” It applies to the Social Teaching of the Catholic Church more than everything else because this doctrine is social at its heart and cannot simply give in to the enemy’s temptation to divide us. These are the five principles laid out in the Compendium of the Social Doctrine of the Church. If we understand these principles, then the work of the Revolution can begin. It is not an upheaval of society like the modern revolutions. Rather it is, as G. K. Chesterton would say, a return, a revolution back to where we started from. It is a return, however, to a world made new by new perspectives. Ours could be an undiscovered country of wonder if only we saw it through the eyes of Christ and His Church. We are made now for a New Kingdom with Christ as our King in all things. Let us discover this place together, and make the devil cringe and know the suffering of defeat. To learn more about the Social Doctrine of the Church, if you really want to dig down deep into it, I would suggest taking up the documents by the popes and by the Fathers at Vatican II and read them. If that’s too difficult, I’ve provided paragraph-by-paragraph summaries of the documents (soon to be completed entirely) in order to make their language more accessible. Go here to learn more. You might also want to check out my audio series with Kris McGregor over at Discerning Hearts. Kris and I spend time talking about the five points I’ve laid up above. These are made accessible through iTunes podcasts as well. And, of course, you can always contact me with questions. What is absolutely clear is that the Social Doctrine of the Church is not an optional devotion for the Catholic in the world. Understanding it and applying it to our everyday lives is crucial to living out the sacramental life. It is crucial to salvation. Remember the standard Christ holds over us. Did we feed, clothe, visit, comfort? Did we do these things, or did we ignore the poor and the hungry? Bringing the Gospel to this world cannot happen without the authentic Social Doctrine, and so we must come to know it better. God bless you, and long live Christ the King.